We're not able to predict the future, but we can make sure that our clients are prepared for catastrophic events. Whether it be fire, wind, hail, lightning, or theft - we make sure you're protected. Our experience has spanned nearly a century providing us with the knowledge to give you the proper tools to plan for the unforeseen. We partner with the best insurance carriers available in the private Florida insurance market, and we utilize their strengths to ensure the best outcomes for our clients. We perform an analysis of your specific needs and suggest the proper coverages for your particular circumstances. We offer a variety of homeowners solutions that will suit the particular needs of our clients. 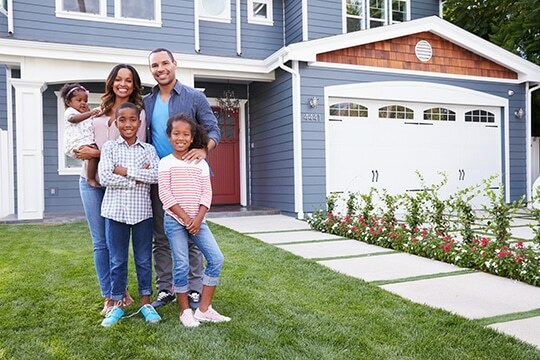 Homeowners Insurance protects your financial interests if your home is damaged or destroyed by a covered peril. The type of Homeowners policy you may need is dependent upon the type of home in which you reside. If you rent, we would advise that you need a Renters Policy (HO-4). If you own a condo in a multi-family structure, we would suggest a Condo Unit-owners policy (HO-6). If you own a single family home, in more cases than not, we would offer you a standard Homeowners policy (HO-3). Please note, every circumstance is different and we have options to fit most individual’s needs. We also offer a wide variety of Flood policy options from the Federal Emergency Management Agency (FEMA) provider to private insurance companies. Dwelling Coverage is the focal point from which most of the coverages in a standard Homeowners policy are based. The coverage protects to repair or rebuild a home back to similar condition prior to damage sustained. Personal Property Coverage is standard coverage under your Homeowners insurance policy. This coverage protects your furnishings, clothing, appliances, and other contents that are not permanently affixed to your home. However, if you own high-valued jewelry, art, or collections you may want to consider a Personal Articles Inland Marine policy. General Liability is another valuable part of nearly every Homeowners insurance policy. General Liability provides coverage for you if it is deemed you and/or your family members are held responsible in the event of bodily injury or property damage of someone else. If necessary we may also consider a Personal Liability Umbrella policy for additional protection.